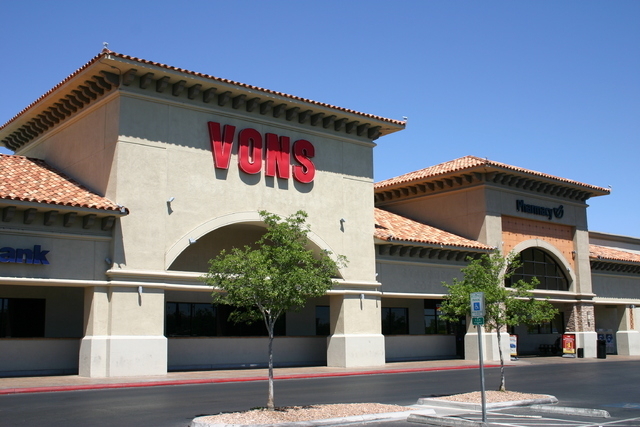 Bayport Town Center Associates LLC has sold its 70,709-square-foot Vons-anchored shopping center at 7305-7445 S. Durango Drive for $25.25 million. DM Rhodes Ranch LLC bought the 9.82-acre center plaza, called Rhodes Ranch Town Center. David Grant, Grant Traub and Chris Connell of Colliers International represented the seller. NAI Vegas’ Sauter Multifamily Group completed deals for three apartment complexes totaling 329 units, for $16.675 million. Jordan Fisher bought the 193-unit Parkview Pointe apartment complex for $6.975 million. The seller of the property at 3665 and 3675 Cambridge St., Las Vegas, was Midland Note Pass Cert 3665 LLC and Harmon Apts LLC. NAI Vegas’ Sauter Multifamily Group represented both parties in the deal worth $36,140 per unit. The 108-unit Fox Hall Apartments complex at 1600 East University Ave., Las Vegas, has been sold to Bluffs at Town Lake for $8 million. The seller is Russ Western Plaza. The NAI Vegas’ Sauter Multifamily Group represented both parties in the deal that realized $46,296 per unit. A 28-unit apartment complex at 1901 East Haren Avenue in Henderson has sold for $1.7 million. Robin Willett of NAI Vegas’ Sauter Multifamily Group represented the seller, 1901 Haren LLC. William Paul Wojdak was the buyer, according to Clark County Assessor records. Stephanie Self Storage has been sold to a private investor for $5 million. The property at 5280 Stephanie St., Las Vegas, has 106,350 square feet of rentable space including 1,051 enclosed storage units. Cameron Glinton and Chico LeClaire of Marcus &Millichap represented both parties in the transaction. Joe Bonifatto of Colliers International represented PWDAF Fort Apache LLC in its $980,000 sale of a 6,000-square-foot retail property at 4840 S. Fort Apache Road. FAE Holdings 458129R LLC was the buyer. ▶ Ben Millis and Chris Beets of Newmark Grubb Knight Frank represented landlord Stone Mountain Properties LLC in its 45-month lease of 11,990 square feet of industrial space at 3741 Civic Center Drive. George Smith of Las Vegas Realty represented the tenant, Tantara Transportation Group, in the $653,230 agreement. ▶ Nelson Tressler and Michael Zobrist of Newmark Grubb Knight Frank represented landlord Petros East LLC in its 60-month lease of 4,359 square feet of retail space at 8889 S. Eastern Ave. Jim Villani of GREAT Real Estate represented tenant Reaching for the Stars in the $273,800 lease. ▶ Brianne and Gary Abdella leased 4,187 square feet for a car wash at Fort Apache Twain Shopping Center, 3655 S. Fort Apache Road, Las Vegas. The 39-month deal is valued at $213,568. Troy Tobler of Virtus Commercial represented the lessor, Twain 168 LLC. ▶ Morpheus Technologies LLC leased 26,752 square feet of industrial space at 6275 S. Sandhill Rd., Suite 100 &200 in Las Vegas. Spencer Pinter of Colliers International represented the lessee. Dan Doherty, Susan Borst, Chris Lane and Jerry Doty of Colliers International represented the lessor, KTR LV II LLC. ▶ Journey Communications leased 6,250 square feet of industrial space at 4508 Mitchell St. in N. Las Vegas. Dan Doherty, Susan Borst, Chris Lane and Jerry Doty of Colliers International represented the lessor, BRE/PAC. ▶ La Petite Academy leased 8,000 square feet of retail/day care space at 1551 Warm Springs Rd. in Las Vegas and 8,000 square feet at 2121 Harbor Island Dr. in Las Vegas. Chris Connell and Grant Traub of Colliers International represented the lessor, Lineberry Properties Inc., in both transactions.